We are delighted to hear that many businesses on the Harwell Campus have invested in defibrillators and we congratulate them on this excellent decision. However, we believe the purchase of a defibrillator is only Step One of the process of increasing your chances of saving a life. Whilst modern defibrillators are "easy to use", this does NOT mean that training is unnecessary. This may sound obvious but, as we've found defibrillators stored in their postal packaging, the first task is to unpack the box! In some models, you need to install the batteries, then familiarise yourself with all of the parts and work out where the pads go etc. Then store it in an obvious place with easy access and in a state of readiness so it can be used with the minimum time lost in set up. Just imagine how terrifying it would be to see someone you know having a heart attack. The harsh reality is that many people will either freeze or will panic. So it is absolutely essential that your key first aiders have gained the knowledge, some practical experience and, above all, the confidence to step forward and take action. These individuals need to be able to cope with an extremely high-pressured situation where every single second could make the difference between life and death. A number of companies on the Harwell Campus have requested a defibrillator training course and we have therefore scheduled an Automated External Defibrillation (AED) training course on Tuesday 8th December 2015, which will train you in everything you need to know about using defibrillators. This will take place at Harwell Innovation Centre and we invite everyone to attend. November is a good time to sit down and look at our plans for next year and it's interesting to notice that the word "expansion" is looming large in our thinking. As such, our first announcement for 2016 is Welcome to Witney! We will be adding training venues in Witney to our regularly scheduled open courses to decrease any travel times for our West Oxfordshire clients. We will also be adding additional courses to our schedule in the Harwell area and, in the light of the number of courses that we held for Oxford colleges this year, we will be looking to co-ordinate some open courses for Oxford University as well. 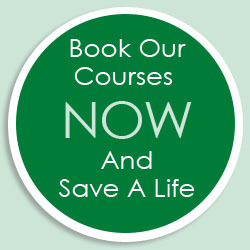 As always, all of our courses are available on an in-house basis if you would rather that we come to your premises. Meanwhile, we would also like to thank you for your support - we've had a great 2015 and hope you have too and we look forward to a really exciting 2016. The course not only fulfilled my training requirement but was beyond what I expected. In this month's Hints and Tips, we are looking at how to help when a casualty suffers a migraine attack. These attacks are severe, sickening headaches and can be triggered by a variety of causes, including allergies, stress and tiredness. Other triggers may include missed meals, alcohol and some specific foods - for example, cheese or chocolate. Most patients usually know how to recognise and deal with attacks and may carry their own medication. Before the attack, the casualty may notice a disturbance of vision, either in the form of flickering lights and/or blind patches. They may experience an intense throbbing headache, sometimes on just one side of the head. Other symptoms include abdominal pain, nausea and vomiting and an Inability to tolerate bright lights or loud noise. Help the casualty to take any medication that he may have a migraine attacks. Advise the casualty to lie down or sleep for a few hours in a quiet dark room and provide towels and a container in case of vomiting. If this is their first migraine, advise the casualty to seek medical advice. WIN A MEAL FOR TWO AT COCKADOO! Congratulations to Margit Kail from University of Oxford's Wolfson College, who correctly answered that it was 1976 when Jeremy Mogford first opened Browns Restaurant in Oxford. Margit wins a £40 voucher for a meal for two at Browns. This month we have a £40 voucher for the fabulous Cockadoo Restaurant and Wine Bar in Nuneham Courtenay. "In 2016, which date will mark the start of Chinese New Year?" Email your answer and contact details to Jane at: info@ocfa.co.uk and we'll draw one lucky winner from the correct answers on Friday 20th November 2015.